It’s Oscar season again! The Academy of Motion Picture Arts and Sciences has released the list of nominees for the 88th Academy Awards, with the ceremony scheduled to take place on February 28, 2016. For the most part, this year’s nominees are disappointingly safe, but there are a few good dark horses here and there that may keep Oscar Night interesting. Here’s a little look at the nominees, as well as some predictions for who might walk away with the statues. DISCLAIMER: These are the opinions of me, James Jay Edwards, and do not necessarily reflect those of FilmFracture or the other writers therein. I’m just a card-carrying member of both the San Diego Film Critics Society and the Online Film Critics Society with two film degrees and a love of movies, so what do I know? Okay, carry on. The biggest surprise here is that Mad Max: Fury Road actually got an Oscar Best Picture nomination, but after winning so many critic’s awards, I guess the Academy had to take notice. It’s a long shot to win, though. It’ll be a battle of old-schoolers like Steven Spielberg and Ridley Scott against the new guard of Lenny Abrahamson and John Crowley, with guys like Adam McKay and Alejandro Iñárritu stuck in the middle. Prediction – As much as I’d love to see Mad Max: Fury Road’s two hour car chase win a Best Picture Oscar, It’s highly unlikely. Following up on its success at the Golden Globes, I think The Revenant takes it. This category has a lot of talent in sub-par roles. I love Michael Fassbender, but it was Aaron Sorkin’s screenplay that made him look good in Steve Jobs. Eddie Redmayne was great with his Oscar winning performance in last year’s The Theory of Everything, but he was just okay in The Danish Girl. Leonardo DiCaprio made a lot of physical sacrifices for The Revenant, but it’s not the best we’ve seen him. Even Matt Damon has been better – much better – than he was in The Martian. Prediction – Bryan Cranston is my favorite of the bunch, but I think the Academy will finally recognize Leonardo DiCaprio. Now we’re getting somewhere. There’s tons of talent in this category, and even if some of the movies for which they are nominated were bad, the performances were great. Case in point: Cate Blanchett and Jennifer Lawrence were the best things about Carol and Joy, respectively. Charlotte Rampling was her usual great self in 45 Years, but I don’t think enough people saw it for her to take the award. Saoirse Ronan and Brie Larson were both great, and both were in great movies. Prediction – Because she’s Hollywood’s darling right now, Jennifer Lawrence wins this, even though Ronan and Larson deserve it much more. This is the category that has me all riled up this year. Why even talk about these five clowns when Paul Dano had the best performance of the year, male or female, lead or supporting, in any movie, with his portrayal of Brian Wilson in Love & Mercy. Even my second choice for male supporting, Tom Noonan playing “everyone else” in Anomalisa, isn’t nominated. The academy got this one totally wrong this year. Prediction – Might as well give it to the bear in The Revenant. Wait, that bear was a female, wasn’t it? Screw it. The bear wins. The big question here is how did Alicia Vikander get put into this category? She is obviously the lead actress in The Danish Girl. Now, if we were talking Ex Machina, they’d have a point, but The Danish Girl? Vikander is lead. All those same things could be said about Rooney Mara, except insert Carol in place of The Danish Girl and Pan instead of Ex Machina. Spotlight was a true ensemble movie, so Rachel McAdams is out, and Kate Winslet benefitted from Aaron Sorkin’s wordsmithing just as much as Michael Fassbender did in Steve Jobs. Now, Jennifer Jason Leigh was the unsung hero of The Hateful Eight. 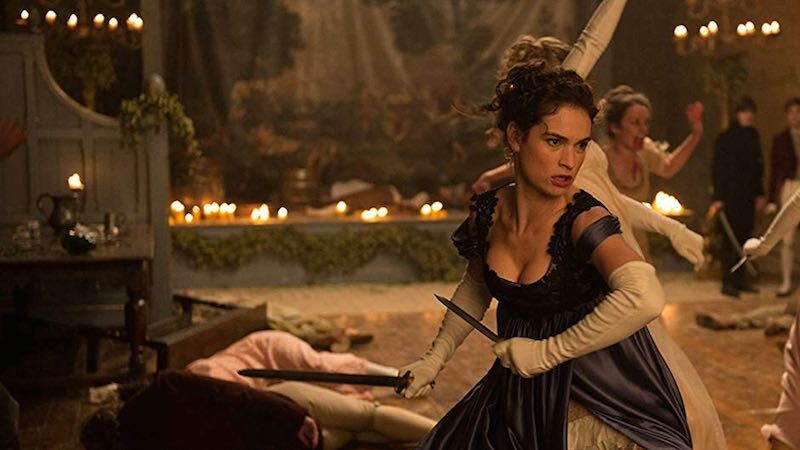 Prediction – Jennifer Jason Leigh deserves it, but Alicia Vikander will win, because she doesn’t belong in this category for that movie in the first place. This is a tough category, because every nominee deserves to win but, more importantly, all of their work was so different. Mad Max: Fury Road was the best directed movie of the year, but action movies aren’t Oscar bait. Room and Spotlight were both kind of the anti-The Big Short, and The Revenant is in a class by itself. Prediction – As much as I think George Miller deserves it and as much as I want him to win, I think Alejandro Iñárritu takes this award for the second year in a row. This one is a two horse race, and it will depend on whether the Academy wants to go child or grownup. Both Inside Out and Anomalisa were great, but one is for the kids and the other…isn’t. Prediction – Like I said, both are great, but Anomalisa is sheer brilliance. It should win this. Some heavy and heady stuff in this category. Amy and What Happened, Miss Simone? may cancel each other out, opening this one wide open. It could be Mexican drug cartels against Indonesian death squads against Ukrainian revolutionaries. Prediction – I think the Indonesian death squads of The Look of Silence win this fight. There really is only one choice here. Theeb is fun and Mustang is cute, but Son of Saul is way too powerful of a film to not win. Prediction – Did I stutter? Son of Saul. 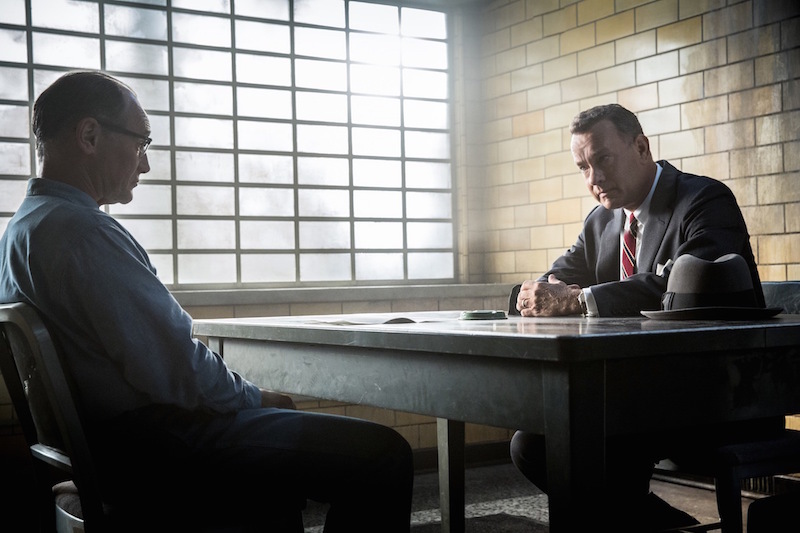 Unfortunately, I think this one is another two horse race between Bridge of Spies and Spotlight. Ex Machina was genius, but it’s the kind of film that should just be happy with the nomination. Straight Outta Compton should hold its head up high just for being recognized, too, as it was brilliant as well. Prediction – Spotlight is riding a wave of popularity right now, so I think that’ll carry over and it will win. This one is a tough one to pick. I didn’t care for Carol, and while I loved the movie, I don’t think The Big Short is best screenplay material. I know plenty of people who read The Martian before seeing it and hated the movie (which has talked me out of reading the book, because I loved the movie). This one comes down to Room versus Brooklyn. Prediction – Emma Donoghue adapted her own book into the screenplay for Room, and she did it well enough to take home an Oscar for it. The category of the night, superpower against superpower, John Williams against Ennio Morricone. Jóhann Jóhannsson’s work on Sicario could come out of left field and surprise everyone, but because Disasterpeace wasn’t nominated for It Follows and Junkie XL wasn’t nominated for Mad Max: Fury Road, this one is Willaims vs. Morricone. Prediction – John Williams basically rehashed old themes for Star Wars: The Force Awakens, and they sound great, but Morricone’s score is an essential ingredient of The Hateful Eight, so he should bring home the prize. After her nomination (and loss) last year, Dianne Warren is back, and she brought reinforcements: Lady Gaga helps out on The Hunting Ground’s “Til It Happens to You.” I still don’t think it will be enough. I also doubt the Academy will legitimize Fifty Shades of Grey in any way, shape, or form, even with a Best Original Song Oscar. “Simple Song #3” is a personal favorite, but it’s a long shot. Prediction – The writing is on the wall that “Writing’s On the Wall” from Spectre will win this one. Oh, boy. Yes yes yes. With the exception of Carol, all of these nominees are outstanding, and all did groundbreaking work. But one is head and shoulders above the rest. Prediction – Perennial cinematography bridesmaid Roger Deakins seems to lose every year, and for the last two, it’s been to Emmanuel Lubezki. Sorry, Roger, Lubezki will three-peat with The Revenant. Was there editing in The Revenant? I thought Iñárritu just dumped the footage straight from the camera? Mad Max: Fury Road and Star Wars: The Force Awakens both had typically awesome sci-fi editing, but the big surprise was the MTV-style quick cuts of The Big Short that made real estate banking fun. Prediction – The Big Short will go long. When it comes to sounds, people either want to hear cars vrooming or lasers shooting, so this one is going to come down to Mad Max: Fury Road versus Star Wars: The Force Awakens. Again, this sound category should come down to MM: FR vs. SW: TFA. Prediction – Since Pew Pew won Sound Editing, let’s give Sound Mixing to Vroom Vroom (Mad Max: Fury Road).